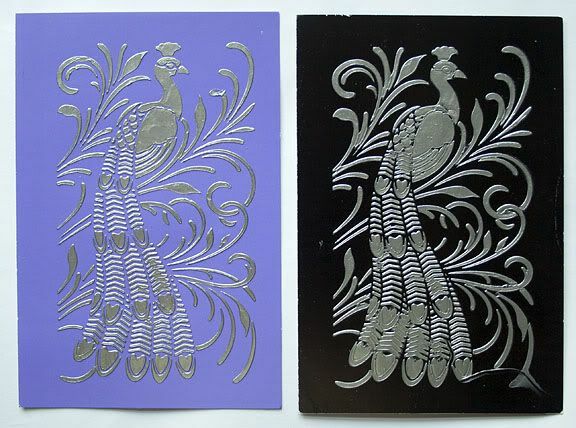 Amazing how the same image looks so different on the two colours, Jane: the blue looks almost oriental and the black looks sort of Art Nouveau. thank you lynda. i card is more lilacie/purpley. i didn't think of the black looking art deco. i thought oriental. although, gold and black probably would have more oriental. misty i did use dreamweaver paste and stencil. Both look so different as Lynda say's. Just goes to show what different background colours do for images. Very nice Jane. Agree about how different the two colours look. Very nice pieces, liking the contrast in colours. Liking the black one here. Have been looking at this paste but not bought any yet.